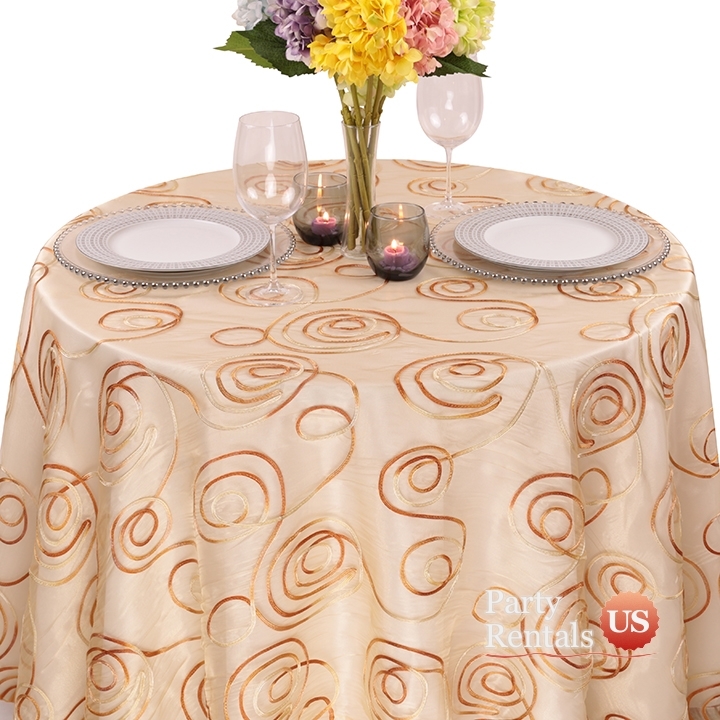 When you want an elegant finish on your table, consider our "Sheer Swirl Overlay Tablecloth". The clear design allows your base tablecloth's color to shine through. It makes a great runner and adds dimension to the space. The swirl pattern will bring class to any event. Select a color that blends best with your decor.